Known for being the world's largest retailer online, Amazon is now up for a new business venture, emerging among the newest entrants to smartphone industry that is set to compete against today's leading tech-giants including Samsung, Apple and HTC. In just a month before its scheduled announcement, Amazon's first own-brand smartphone already surfaced via leaked images on social media networks and some news/tech websites. 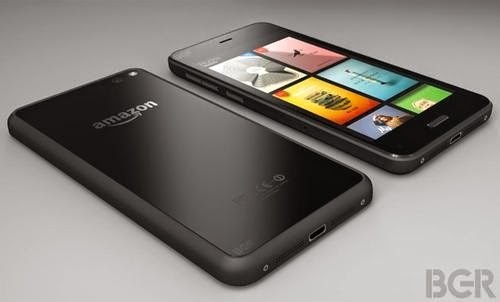 In mid-April, Amazon's upcoming handset was first revealed via prototype images courtesy of BGR. Exclusive details about the phone came up later, telling about the phone's potential key features and specs. Mobile app store will depend on Amazon's own mobile app store for third-party app distribution. Just recently some new images that are thought to be Amazon's first smartphone appear, revealing the handset's design for the first time. Multiple trusted sources have further attested that the image was authentic and in fact, was crafted for internal use by graphic designers at Amazon. The first leaked images apparently give us hint on how the handset would look like [partly] when it officially arrives. Here are some of the notable physical attributes of Amazon's first phone as manifested by the image prototype. * Polished, chamfered bezel that is closely akin to that of the HTC One. * Phone size is a bit larger than the HTC One, Apple's iPhones and Samsung's Galaxy S lineup but is reasonably comfortable for one-hand use. The exact Prime Data that will offer the first Amazon smartphone is yet to be confirmed but according to trusted sources, the handset could likely be an AT&T exclusive. If that is true, then Prime Data will more likely be a monthly data package that comprises of certain amount of Prime video and Free music streaming. Amazon's first smartphone is reportedly set to launch in the third quarter of this year, probably in the late spring or early summer.